Try the fried chicken sandwich...crispy with a great spicy tangy sauce. Brussel sprout salad also very good. And the chocolate chip cookie is icing on the cake at the end. A must stop place! Amazing tap beer and food on third street promenade. Prices are reasonable too. Try their egg white cheddar omelette and fried chicken sandwich! 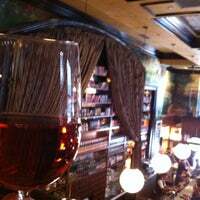 It can get crowded even on week nights, but they have GREAT happy hour deals! 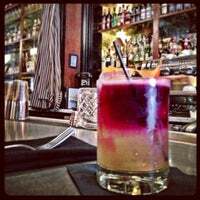 50% off cocktails until 7pm. Food is good, too. You can add an egg to your hamburger. Need I say more?! Not only is this place gorgeous, but the food is excellent! I had lobster & prime rib sliders, the prime rib was to die for! Also got shoestring fries which were the perfect amount of crunchy! Mmm. Great way to spend a couple hours on a Sunday. Order several somethings for everyone to share. Keep ordering until you're full. Half off cocktails twelve to seven. Out of town guests love it! I came here specifically for the mac & cheese and I was NOT disappointed. Might be the best I've had anywhere. But it's quite heavy (and generously portioned), so expect to leave with leftovers. Get the Kale and Quinoa salad with a side of Salmon and just die and go to heaven already. It's the best, healthiest thing I have ever eaten. Every bit was better than the last. Incredible! Make sure to ask for pancetta to be added to the mac n cheese. Simply delicious! 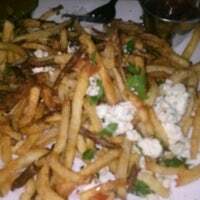 The French fries with blue cheese dipped in the honey mustard plus one of the happy hour cocktails makes a good weekend afternoon. 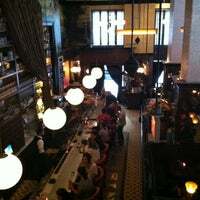 Love the vibe, great happy hour prices on cocktails, the food is good too. Dominique was simply amazing and very attentive. 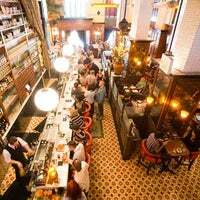 Definitely a great place to visit for food and drinks. 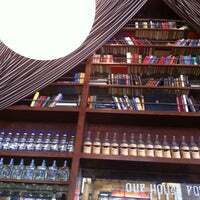 Great place - stylish and casual. The bar choice is wide. 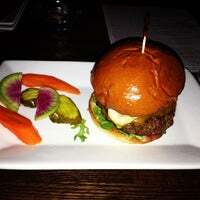 I had an Ahi burger and really loved it. Recommend both for lunch and drinks. Great happy hour! We sat at bar and enjoyed apps. Everything we ordered was over the top good. Bartender gave us a chocolate chip cookie with sea salt at end if night! Cool space and great cocktails. Bartenders are friendly and talented too. 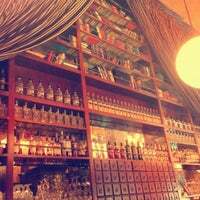 Great bar for before or after dinner drinks, or for a date. Their food looks pretty tasty too. 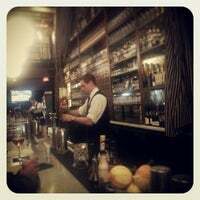 Sit at bar. The steak French dip niks (sliders) are great. And definitely don't be shy to ask for the free chocolate chip cookies behind the bar - they rock. Their misfit burger and fried chicken sandwich were both on the salty side, but delicious! And the complimentary sea salt chocolate chip cookie was so good!! Nice place and service. Best fries ever! Try the red wine called Saldo. It's amazing!! And don't forget to eat the heavenly cookies for a perfect ending. Mac & chees is spicy and yummy , chicken burger and misfit burger are good. Atmosphere is nice , worth coming again. 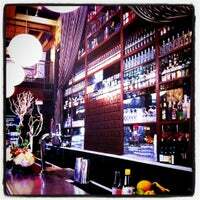 Trendy spot in Santa Monica, make sure you save room for the cookies at the end. Great vegetarian food and cocktails - opt for the burgers on toast. From noon to 7PM: half price cocktails! Get the French Exit, it's the best. Also, Mac + Cheese with chorizo: AMAZING. Great deal for your money. This place is amazing, be sure to get the avocado on toast and or chickpea wraps. Great service and to top it off, a praline cookie with the bill. Any of the cocktails on the menu are great! Many made with grapefruit and lavender infused honey. Dixie fried chicken was excellent. Shoestring fries are what you expect and charred broccoli is decent but not great. Cocktails are really good however. 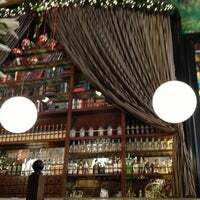 Bar is the best place to sit with comfy seats. Divine food, excellent service 👌🏼 The grilled Brussels sprout is a must try, even if you don't like Brussels sprouts you're gonna love it! We make a beeline for this bar every time we're in LA but no longer im afraid. Had a lovely evening the other day but we just tried to have drinks outside & were told that you had to order dinner too! Great ambience. I had the ahi tuna burger and it was delish. Also had couple bites of handmade pasta and it made me crave for more! You can't go wrong with this place. 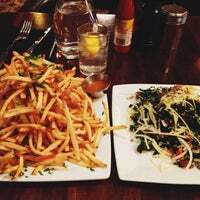 french fries and salad are good. After meal They give small salty chocolate chip cookies which is yummy! I wanted to buy the cookies to go. I have been coming to sparks since the 80's what a great food. You get what you paid for. The greatest cuts of beef around. 5 stars for me. The fried chicken sandwich is AMAZING!! the misfit burger is really really good and the mac n cheese is average. The ahi burger is fantastic! The kale and quinoa salad was great too.. Very light and could use a little more flavor. Awesome specialty drinks! Megan F is AWESOME, ask for her! Beyond delicious food, the brussel sprout salad is great, and the cookies are phenomenal. Definitely a must visit. There's great seating up on the second floor. And if they have spaghetti squash when you go, definitely try it! It's so good! Brussel sprouts were excellent as well as the avacodo toast and prime rib dip. Serves great. A bit noisy. Oh forgot hamburger tasty too. 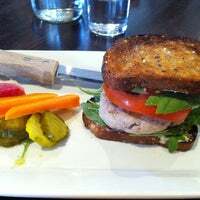 The tuna burger is delicious. 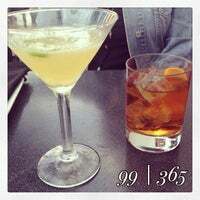 Happy hour is a great deal for fantastic cocktails. This place was outstanding. Eclectic and Very tasteful flavors. Highly recommend the avocado toast and prime rib dip. So good. lobster nik niks are fried lobster sliders on buttery rolls with spicy mayo sauce. fantastic! 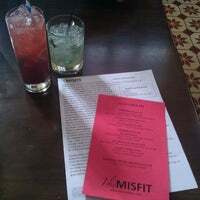 The Misfit reprises a “back to the bar” ideal of casual destination dining serving signature cocktails and accessible comfort food. "All the sliders are great especially the falafel one, truffle fries, and Mac and cheese." "Ahi taco appetizer, duck meatballs, & Giselle crab cake are yummy! Also the watermelon mojito is delish if you like sweeter tropical drinks." "The famous prime rib French dip sandwich is delicious. Get both the au jus and the horseradish cream sauce for dipping." 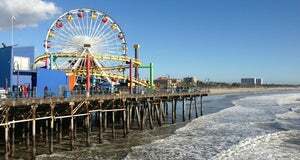 "I love the Promenade, even if it is a bit touristy! The have tons of shops ranging from the high-end to more affordable, and lots of people watching opportunities! Very talents performers as well!" "Fall in love that place ! 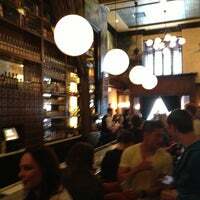 Nive atmosphere, lovely live music, good drinks. In weekends you can wait for a long line but for the other day perfect choice to chill out." "Great looking place. It's huge with a small bar towards the end and a large one in the front. They also have some delicious beer on tap!"